Enjoy your holiday with friends and family. The Jungle will return next week. Nicole, the HR manager, had a scary Halloween with underclad co-workers and a wild Veteran’s Day that ended with claims of discrimination. She is finding it increasingly difficult to boost morale among her fellow employees. She’s trying to boost morale because her co-workers are disenchanted after years of no pay raises and limited opportunities for promotions. Her newest morale booster is a Thanksgiving lunch. She even convinces the company’s president to pay for the turkey and dressing. Now all she has to do is convince her co-workers to bring side dishes and prepare to have fun. She tapes a sign-up sheet to the refrigerator in the break room. Before anyone can sign up, Steve stops by her office to demand beer with lunch. Nicole vetoes alcohol, as usual. She tells Steve that he seems unhappy and asks if he’d be happier working for another type of employer, such as a honkytonk or a house of ill repute in the Nevada desert. Then Monica pops into Nicole’s office to announce that she has just become a vegan because living off animals is disgusting. Monica wants vegan-acceptable food at the Thanksgiving lunch. Nicole replies that Monica can bring a side dish that satisfies her new dietary requirements, as long as it’s not kale or cabbage or a similarly aromatic vegetable. Next a delegation of employees crowds in to Nicole’s office. The Hispanics are still furious about the Veteran’s Day event when a co-worker suggested building a wall on the southern U.S. border. Now they complain that Thanksgiving completely ignores their cultural heritage. Sam Redhawk complains that Thanksgiving is racist for celebrating the extermination of Native American culture. The gist of the complaints is that they feel unappreciated and marginalized. She can tell her co-workers to shut up and be thankful they still have jobs. She can strive to make Thanksgiving lunch a celebration of multi-cultural America, encouraging everyone to bring a side dish that represents their cultural origins. She can tell the president there are serious morale issues that can’t be fixed with food and that he should watch “Mutiny on The Bounty” if he wants to preview the end of the story. If you’re an HR manager, you’ve probably had a year like Nicole’s year. The holiday season isn’t over yet so stay tuned for more adventures with Nicole. Nicole, the HR manager, is planning another morale boosting event. Her first effort was the Halloween party a couple weeks ago which ended on a sour note when some of the costumes exceeded her expectations and the president’s tolerance. Nicole is now working on her Veteran’s Day celebration. Ever the optimist, Nicole decides on a pot luck lunch with a patriotic theme. She announces that during the luncheon, they will honor employees who served in the military. As usual, the whine of the day comes from Steve who says he’ll boycott the party if there’s no beer. Nicole says no alcohol will be served since everyone has to work after lunch. She’s beginning to wonder if Steve would be happier working for a different sort of employer. illegal drugs because everyone knows that heroin comes from poppies. Nicole retorts that everyone knows red poppies symbolize the military dead in World War I. Shaken but undeterred, Nicole finishes the decorations as people wander in for lunch. Almost immediately, there’s a problem in the buffet line. The employees split into two (almost equal) camps arguing about the wars in Afghanistan and Iraq and whether the president should send troops to fight in Syria. Then someone says the U.S. needs stronger border controls to keep out illegals and terrorists. This provokes the Hispanic workers who angrily deny being “illegals”; the Muslims who say that they aren’t terrorists; and the Indians with H1B visas who work in the IT department and complain that they haven’t stolen jobs from Americans. She can forge ahead with the plan to honor the military veterans, although this now seems risky since half the employees appear to be in an anti-war camp. She can sneak out of the break room and hide in her office until after lunch. She can hold an impromptu educational discussion on the company’s anti-discrimination policies and appreciating diversity in the workforce. Nicole’s first two attempts to boost morale on a limited budget haven’t gone as well as she would have liked but there’s still time before the holiday season ends. Stay tuned for more adventures with Nicole. 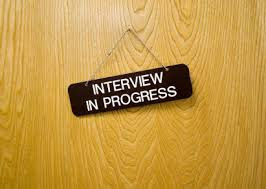 Erica is interviewing for a job as the HR manager for a small privately held company. Erica heard about the job opening from a friend. She is looking for a change after growing bored with her current employer. Erica is capped on pay and promotions with her current employer unless her boss dies or retires, neither of which seems likely. Months ago, Erica suggested a special project working with IT to upgrade some of the creaking systems that slow down productivity and offered to lead the project task force. Her offer was rejected by her boss and her boss’s boss, leaving Erica with the impression that they weren’t serious about productivity gains or keeping her engaged as an employee. she waits in the shabby lobby for 20 minutes past the time her interview is scheduled to start. Finally,a man in his late 60’s steps in to the lobby to invite her to the conference room for the interview. extra from the Godfather movies with chunky gold rings on both hands and a large gold watch. His shirt is open half-way down his chest displaying gold chain necklaces. In a voice roughened by cigarettes and cheap whiskey, the man explains that he’s looking for an HR manager to keep the “government off his back”. Erica asks if his company’s employment practices were audited by a government regulator but he brushes aside the question. He says that companies like his would be a lot more successful if the government would stop interfering and telling him how to run it. Then he explains that he’s had trouble in the past hiring women because “they start with single coverage on the medical plan but next thing you know, they’re on the family plan”. What should Erica do next? She can call him a dinosaur, list all the federal and state employment laws he’s violated during the interview and storm out of the room. She can expend a lot of effort trying to get the job since the company obviously needs all the HR help it can get. She can send the owner a bottle of cheap scotch after the interview to thank him for his time and pray that he doesn’t offer her the job. In the actual situation, the interviewer never made a job offer. The interviewee continues to congratulate herself on one of the narrowest escapes of her professional career.